Mac Metals knows the value of copper and copper alloys. As a leading architectural brass and bronze extrusion provider, our history can be traced to 1850s Germany. But this history would be incomplete without the world’s most reusable resource—copper. With a history exceeding 10,000 years, copper and its alloys have been providing everything from Architecture to Jewelry with luster and durability. Today, we would like to share a deeper view into the shining history of copper and its alloys. 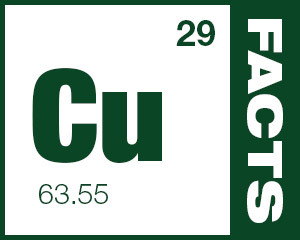 Did you know that the first recorded use of copper can be traced to 8700 BC? Noted as man’s oldest metal, copper’s first noted use was a pendant found in present-day Iraq. The Romans obtained their copper from Cyprus. It was called aes Cyprium, which means “metal of Cyprus.” This was shortened to cyprium. Later, cyprium was changed to coprum, and eventually became known in English as copper. Currently, there are more than 570 copper alloys listed with the American Society for Testing and Materials International. A leaded yellow brass, C36000, also known as Copper Alloy 360 is so easy to machine, it is the benchmark standard for metals machinability. See a full list of Specialty Alloys provided by Mac Metals, including C36000 when you click here. If you seek accuracy, use Brass: Due to corrosion resistance, ease of manufacture, and machinability, brass is the standard alloy from which all accurate instruments (Clocks, Watches, Compasses) were to be made. Seeking Durability? Look no further than bronze. As the alloy is harder than pure iron and copper, more resistant to corrosion, and more malleable; bronze highlighted much of the Ancient Egyptian lifestyle. Copper and Brass are the Go-To Metals of Hospitality: Restaurateurs, hoteliers and interior decorators look to copper and brass as naturally inviting metals that make a statement of quality, comfort and beauty. Check out how Brass is making a comeback in a recent article: Brass is Back. The U.S. Penny contains the least copper of any U.S. Coin. Since 1982, the penny only contains 2.6% copper. Conversely the Nickel contains 75% Copper; and Dime, Quarter, and Half-Dollar pieces contain 91.67% copper. What else would you like to know about copper? Thanks to the Copper Development Association, we welcome you to check out the full list of copper facts: Architecture, Health, Electrical and much, much more. Click here to print the full copper list. 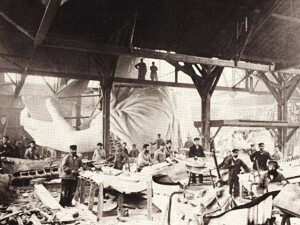 As said previously, Mac Metals also has a longstanding history of durability. We welcome you to see the full benefits of copper and its alloys by checking out our gallery, reading more about brass and bronze, and contacting us to realize the true value of architectural alloys for your next project.